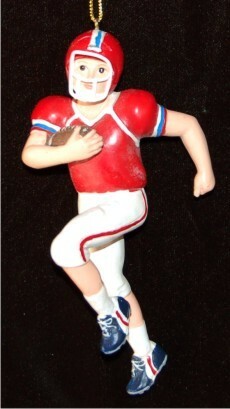 While often confused abroad, American football does not trace its origins to the game of the same name as played in all other parts of the globe. 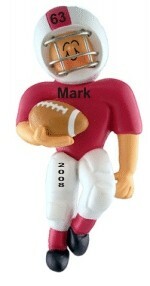 Rather, American football is an offshoot of British rugby. 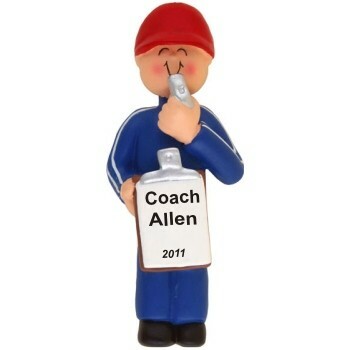 When rugby landed in the US in the mid 1800s, it underwent a number of changes with several coaches introducing rules of their own. 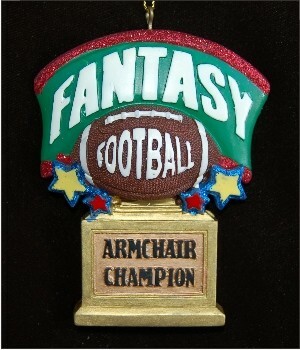 Walter Camp is commonly referred to as the Father of American Football. 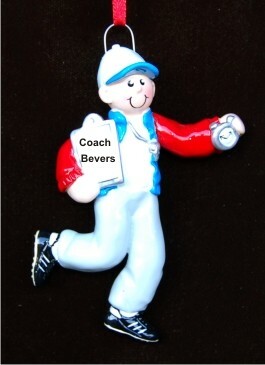 He was a player and later coach at Yale University in the late 1800s. 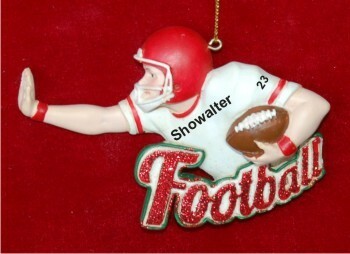 By 1950, collegiate football, fueled by fierce rivalries, became the dominant sport in the American landscape. 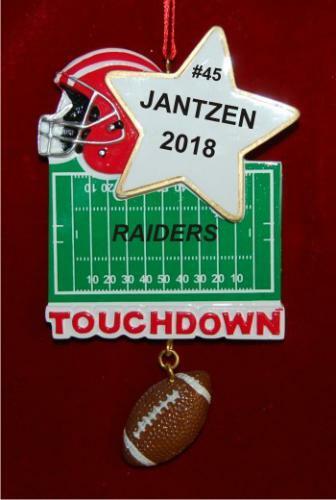 And, the National Football League we know today established professional football in 1920 when it was originally formed as the American Professional Football Association. In this all-American tradition, we offer our football ornaments to players and fans alike, young and old. 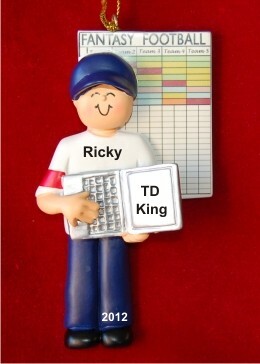 Personalize a football Christmas ornament for your son or a favorite player. 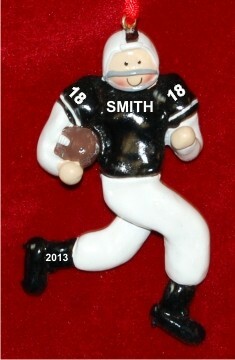 Include his or her name and the year. On several, you can create custom personalized football jersey ornaments complete with each player's number. 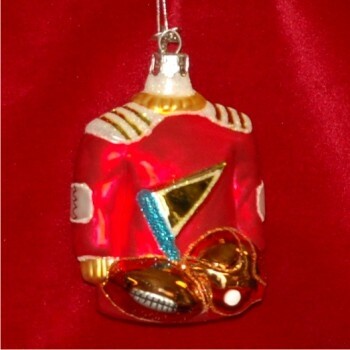 All of our football ornaments arrive in our exclusive black velvet bag, ready to make a wonderful gift. 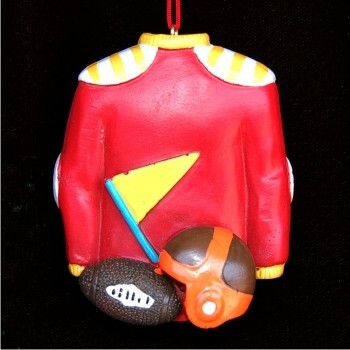 From as young as 5 years old to as seasoned as 18 years old, our football ornaments can be purchased in bulk and at wholesale. 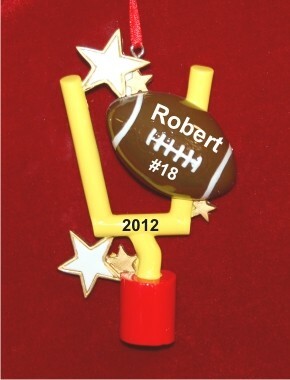 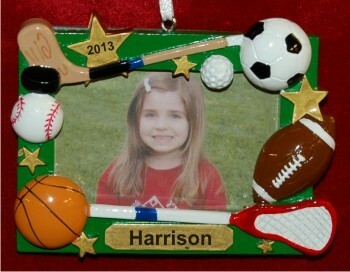 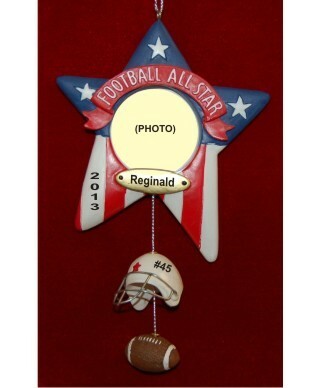 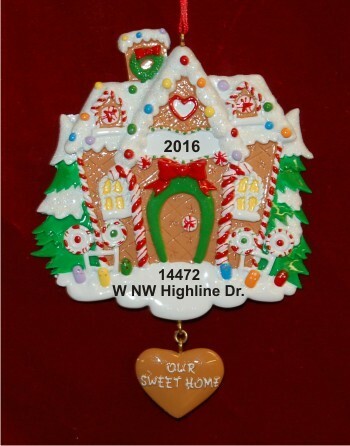 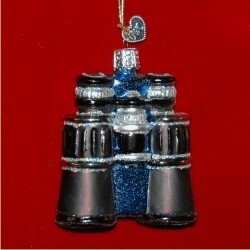 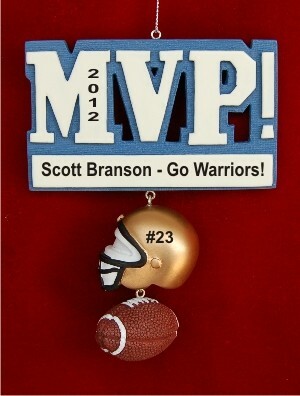 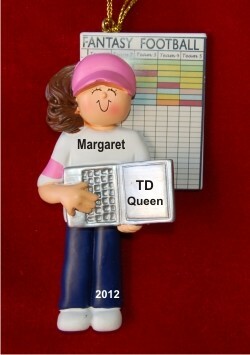 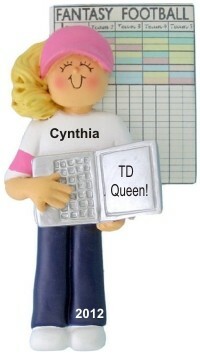 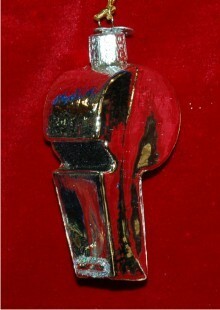 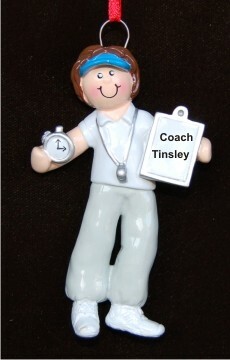 We commonly personalize ornaments for YMCA football teams and other Youth Football Leagues. You can order each football Christmas ornament personalized individually per player, or you can order them in bulk personalized with the team name and the year to be distributed as gifts. 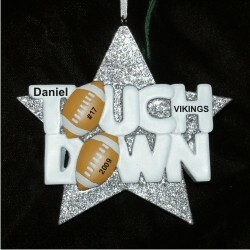 Let us know what your needs are, and we'll be happy to arrange a special package of custom football ornaments just for you. 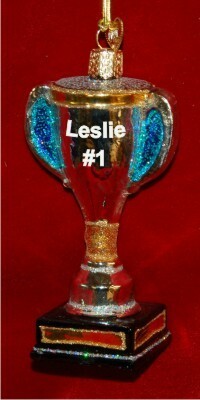 Send us your details via the Contact Us link in the blue banner below.